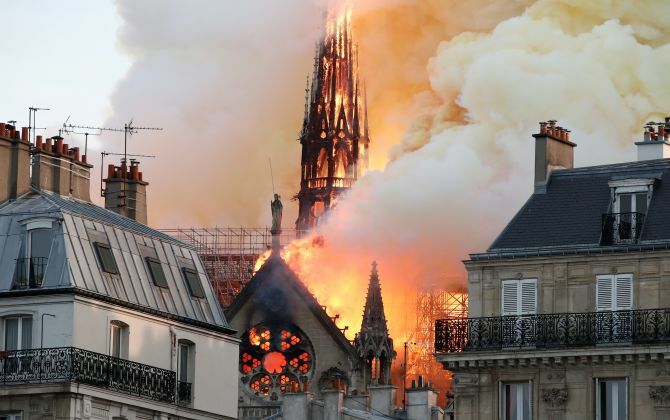 A major fire engulfed the medieval cathedral of Notre-Dame in Paris, one of France's most famous landmarks, on Monday. 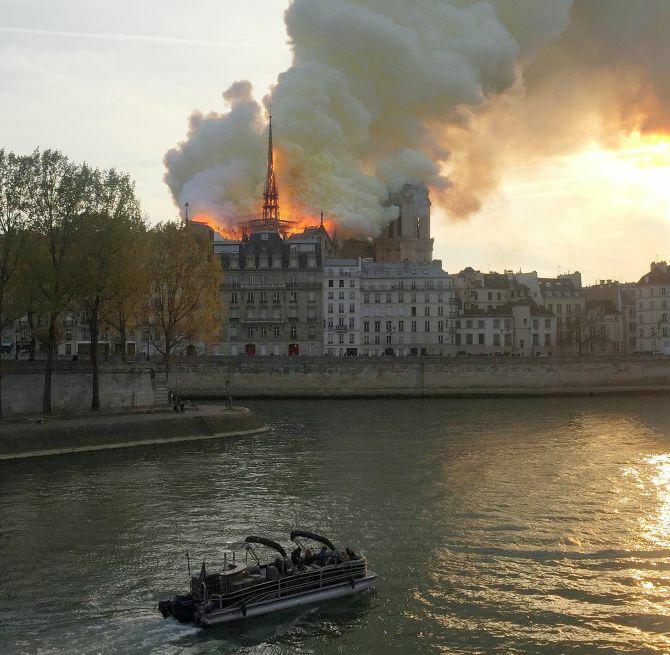 The fire was brought under control on early Tuesday, after the blaze brought its towering spire and roof crashing to the ground, wiping out centuries of priceless heritage central to French culture and history. 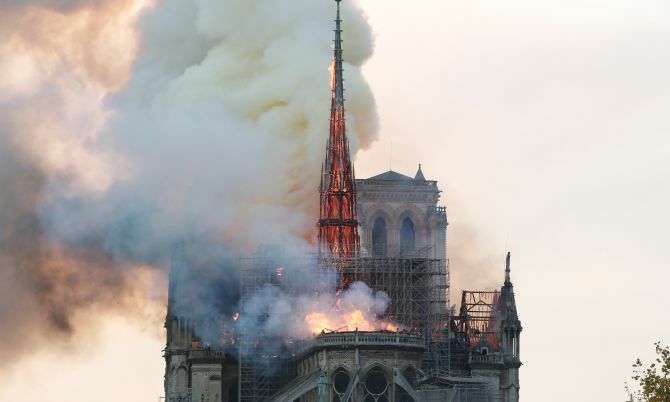 Officials in Paris said the fire could be linked to restoration works as the peak of the church is currently undergoing a €6 million (Rs 50 crore) renovation project. 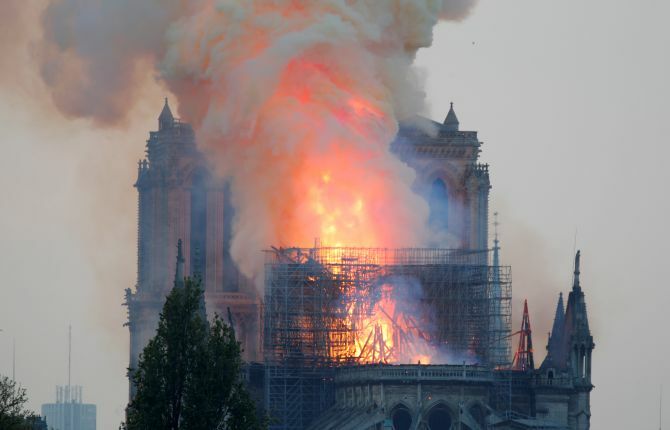 A spokesperson for the cathedral said the blaze was first reported at 5.50 pm (GMT) and the building was evacuated soon after. 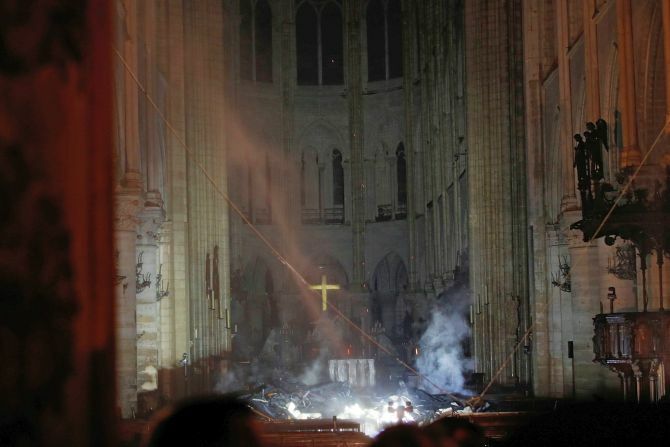 By 9.30 pm there were claims from fire fighters around the cathedral that the priceless stained glass Rose windows in the Cathedral had been destroyed. 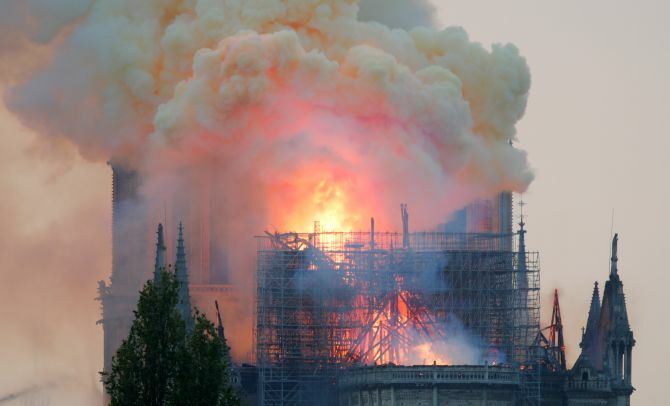 “They exploded because of the heat of the blaze,” said one, referring to the Rosette West, which was created in 1225, the Rosette North (1250) and the Rossette South (1250). 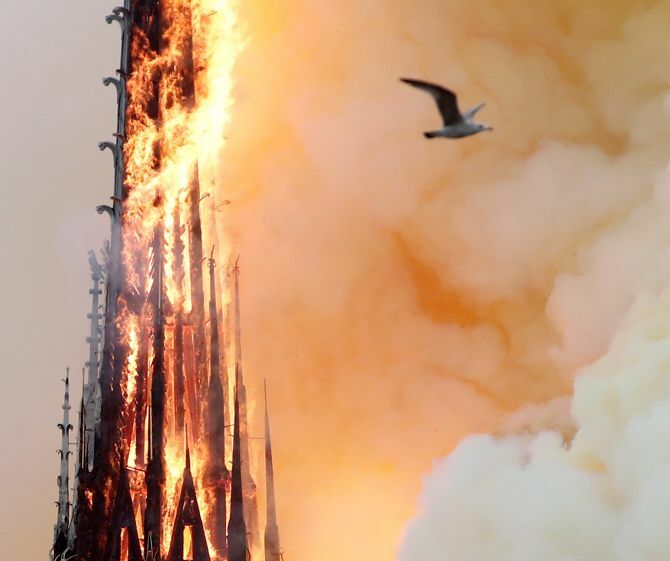 He had earlier postponed a televised speech to the nation because of the stunning blaze and was going to the cathedral himself. 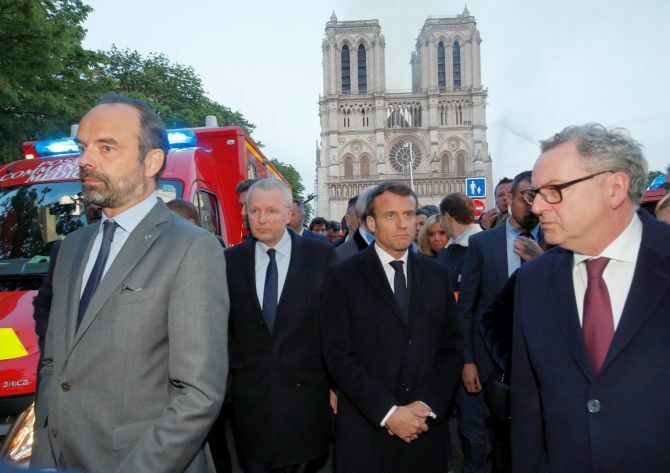 Visiting the scene, the French president said the cathedral was a building "for all French people", including those who had never been there. 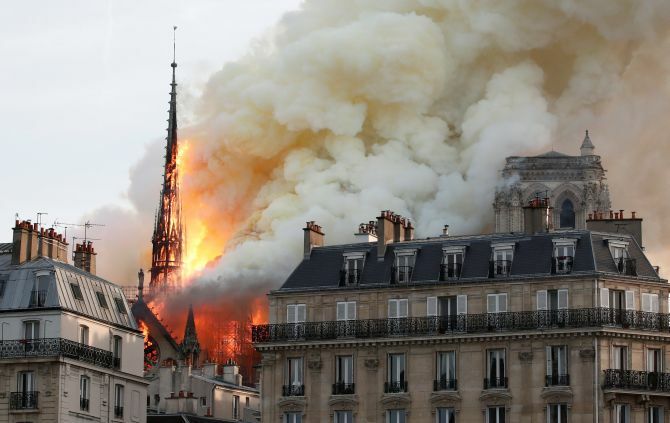 Deputy mayor Emmanuel Gregoire told BFMTV the thousand-year-old building had suffered 'colossal damage' already. He said the authorities were giving highest priority to securing the area and protecting tourists and residents from the risk of a collapse. 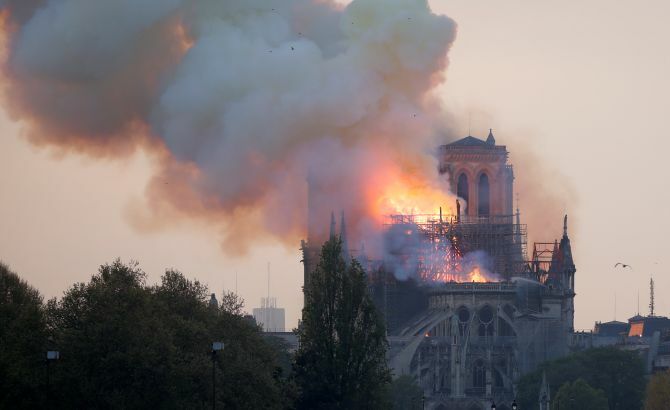 Late on Monday evening, French billionaire Francois-Henri Pinault pledged €100 million (Rs 784 crore) towards the rebuilding of Notre-Dame Cathedral in Paris, which was partly gutted by a devastating fire. 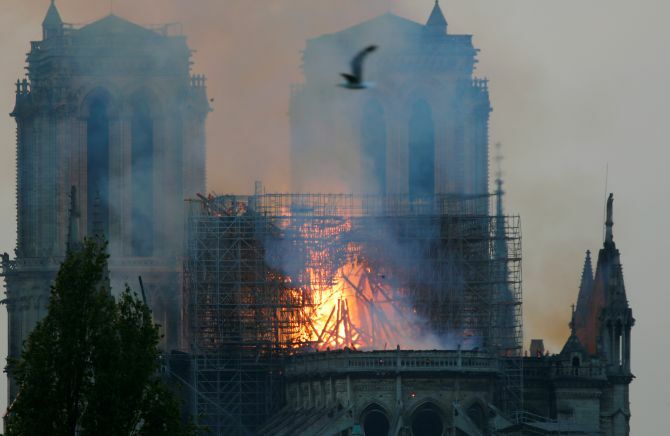 In a statement the CEO of the Kering group, which owns Gucci and Yves Saint Laurent fashion houses, said the money towards 'the effort necessary to completely rebuild Notre-Dame' would be paid by the Pinault family's investment firm Artemis. 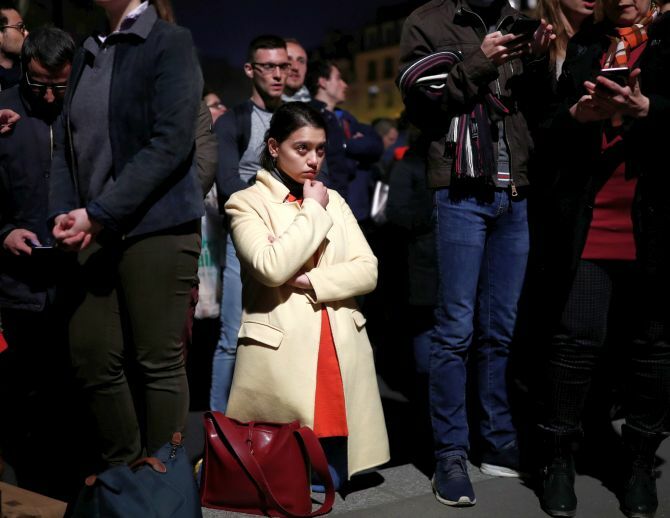 "This is really sad - the saddest thing I've ever stood and watched in my life," British tourist Sam Ogden, a 50-year-old onlooker, who had come to visit the cathedral with her family was quoted as saying. Michelle Obama, the former US first lady, who is in Paris for her book tour, tweeted about the "majesty" of the cathedral, which is one of the city's most recognisable and visited attractions. Michelle writes that the "history, artistry, and spirituality" of the famed cathedral "took our breath away, lifting us to a higher understanding of who we are and who we can be."